​Born Thomas Hezakiah Mix in Mix Run, Pennsylvania in 1880. Tom's first appearance at Prescott's Frontier Days Rodeo came in 1909 after he had won the Bronco riding competition at Cheyenne's Frontier Days Rodeo. In 1913, Tom won first prize in steer riding and bulldogging during Prescott Frontier Days. 1913 - Mix settled in Prescott, Arizona and made his home on the Bar Circle A Ranch (now Yavapai Hills) until 1917. 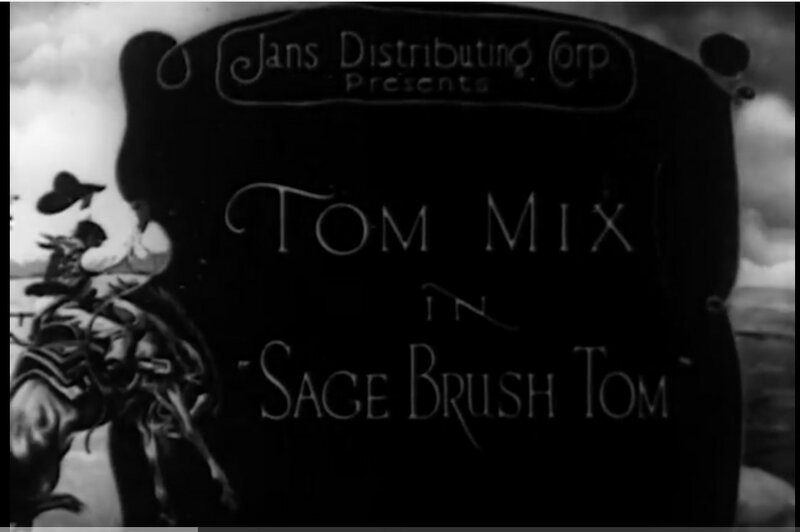 Between 1913 and 1928, Tom made over 100 films for the Selig Polyscope Company and later for Fox Studios. Many of these movies were filmed in and around the Granite Dells and the Bar-Circle-A Ranch. The ranchhouse, Slaughterhouse Gulch, and the 200 year old hanging tree today are part of the Yavapai Hills Community in Prescott AZ. Tom and his wonder horse, Tony, performed on the stage of the Elks Theater in the 1920s to help raise money for the Mercy Hospital. He rented a room at the Hotel Vendome after it opened in 1917 because he was on location so often making movies in the area. Today, the Hotel Vendome is one of Prescott's Historic Inns. In 1929, Tom was a pallbearer at the funeral of his good friend Wyatt Earp. On October 12, 1940, Mix died from injuries suffered in a one-car accident near the city of Florence, Arizona, and was buried in Forest Lawn Memorial Park in Los Angeles, CA. A small stone memorial marks the site of his death on State Route 79 between Florence and Tucson, AZ, and the nearby gully is named "Tom Mix Wash". The plaque on the marker bears the inscription: "In memory of Tom Mix whose spirit left his body on this spot and whose characterization and portrayals in life served to better fix memories of the old West in the minds of living men." 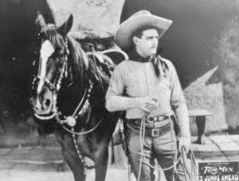 Tom Mix in "Sage Brush Tom"
The “Diamond S” was located where the Yavapai Hills subdivision stands today.